David Cameron has today announced his intention to provide his main electorial rivals with rings of power as a symbol of co-operation. Three rings will be offered to the fair haired and immortal Labour party heads of strategy. Nine will be given to the Lib Dems, easily corrupted by the promise of sitting close to people in government. UKIP have refused to accept any rings at all, believing them to be forged in the fires of a knock-off Slovakian factory which is decimating homegrown production. The remaining seven will instead be offered to the Dwarf lords in their halls of stone who have played only a minor part in the election. 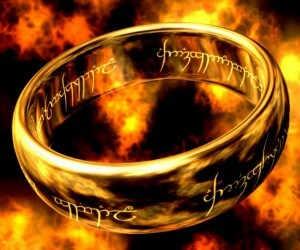 Cameron will retain possesion of the one true ring amid fears it will fall into the hands of some plucky short people.